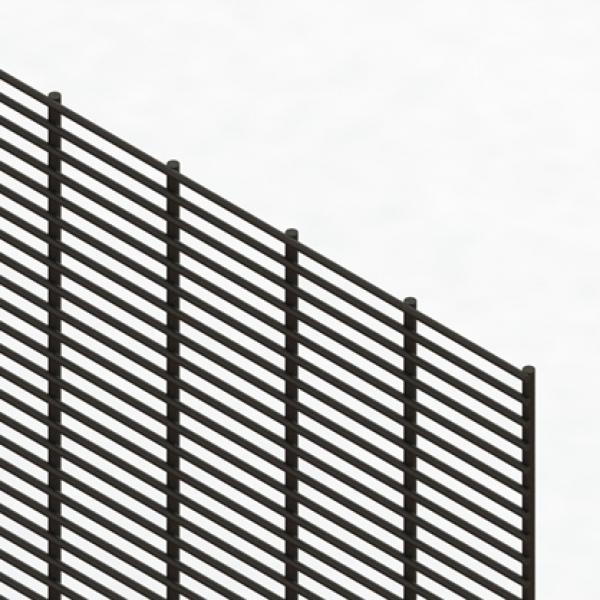 Securifor® Super 6 is a welded mesh panel fence that is the highest level of security. Incorporates 6mm vertical wires to give maximum resistance to attacks. 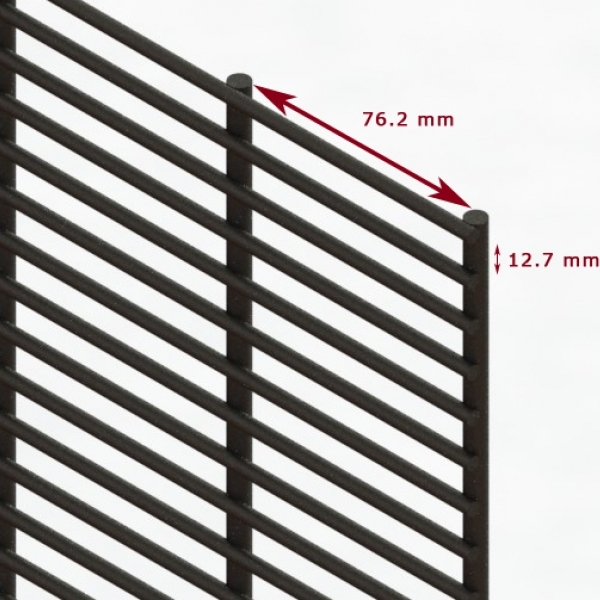 The panels are 2515mm wide and heights range from 900 to 5200mm. Mesh sizes are 76.2 x 12.7mm, and manufactured from 4mm horizontial wires and 6mm vertical wires. 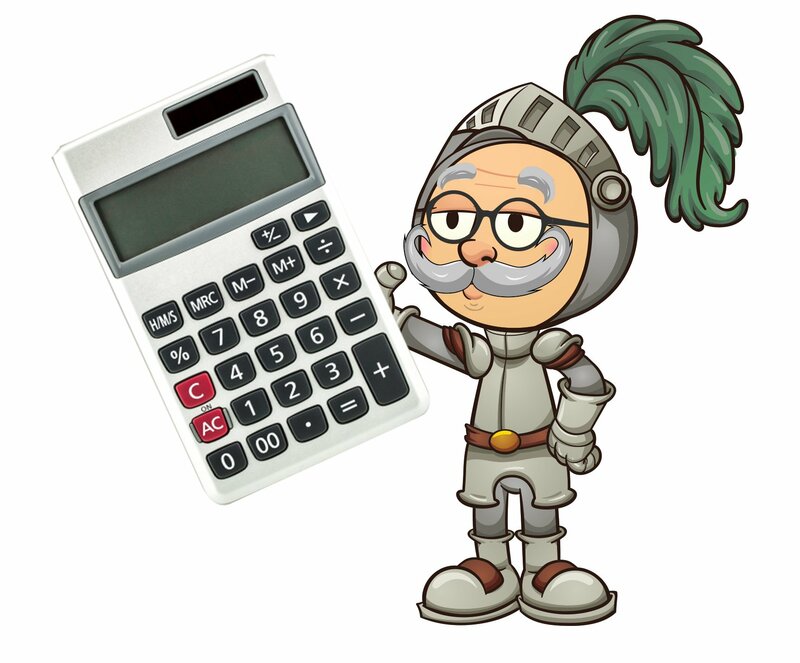 Weld strength is 75% of the minimum tensile strength of the wire (tensile range 540-690 N/m²). Featuring a toe and finger proof mesh aperture, this system combines an anticlimb and anticut fence with excellent through visibility and resistance to vandalism. Extra length panels can be supplied for burying 300mm below ground to prevent burrowing. 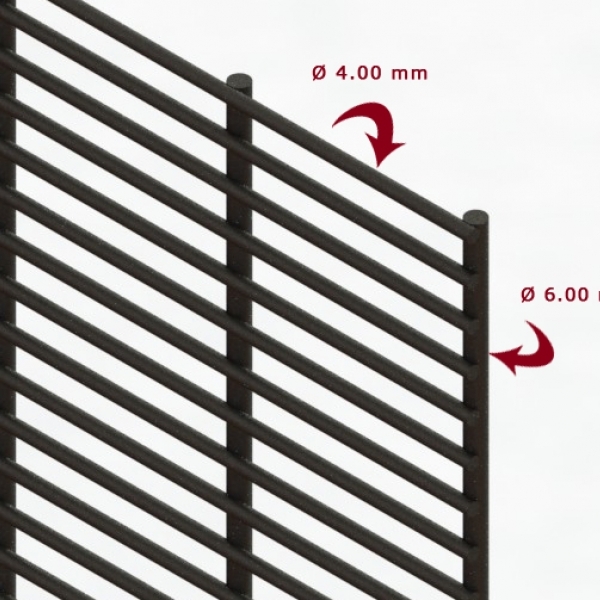 Bekasecure posts are manufactured specifically for use with Securifor 358/Super 6 fencing systems for the very highest security applications. Securifor Swing gates are available in single and double leaf configuration with a Securifor 358 welded mesh infill to match your fence. 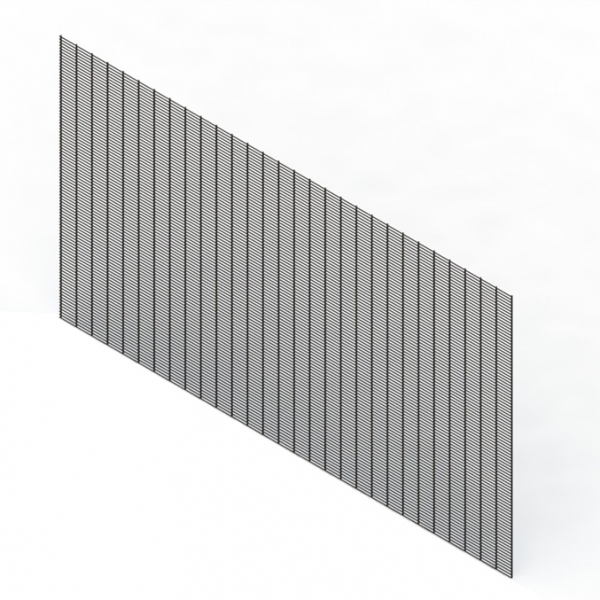 Panels are manufactured from pre-galvanised wires. An adhesion coating is applied to allow perfect adhesion with the polyester coating (min. 100 micron). Posts are polyester coated with a galvanized substrate in accordance with Euro norm 10147.